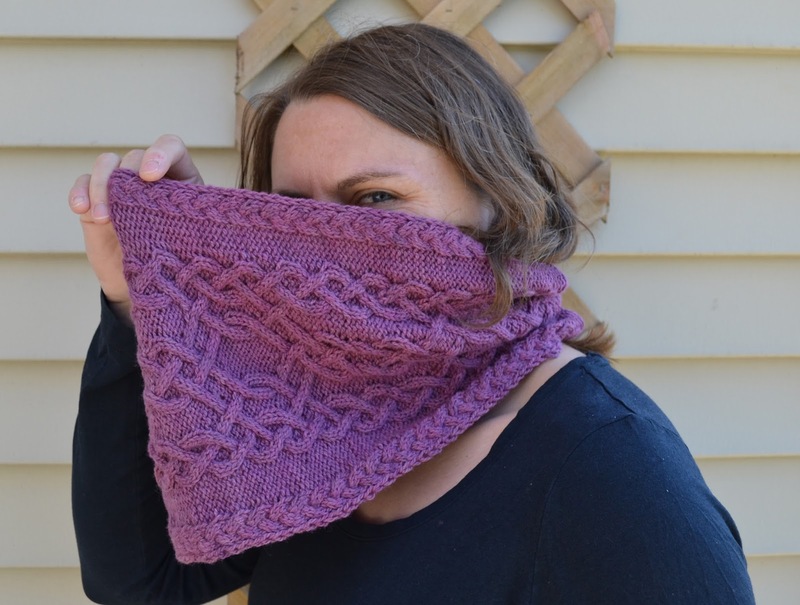 I’ll admit that Glenna’s Cowl by Marly Bird looks a bit intimidating from the pattern photos. I thought it would take a long time to knit, but by the time I was halfway through the first repeat I was seriously hooked and the project was flying off my needles. Paired with the gorgeous stitch definition of Himalayan Trail, it wound up being a wonderful treat at the end of a few hectic days. I swear this yarn was made for cables! 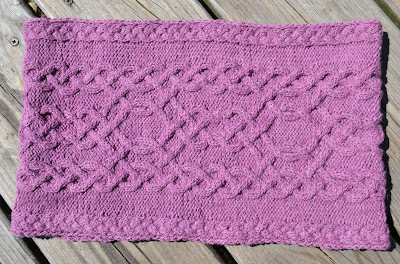 The rhythm of this pattern was just a delight and before I knew it, I was taking extra time with each row on the chart just to make the knit last a little longer. I said the word chart, did you panic? Have no fear! 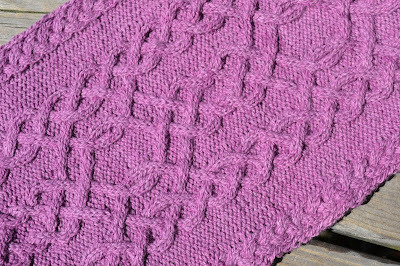 Glenna’s Cowl provides both written and charted instructions. 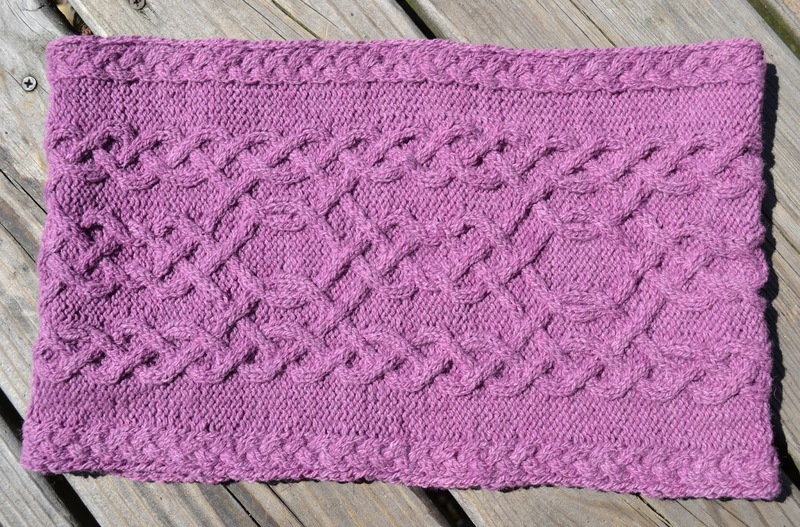 I realize there are few techniques in knitting as polarizing as charts. Knitters either love them or they can’t stand them. In fact, I’ve never met a knitter who was on the fence about charts. So what is it about charts that evoke such different reactions in knitters? Ironically, what makes a chart useful is also what makes it challenging for some: it’s a visual tool. A chart contains the exact same instructions as a written pattern, but instead of stitch abbreviations they use symbols. If you haven’t used charts before, of course, those symbols look like hieroglyphics. They can be confusing and intimidating. Some knitters just look at a chart and say, “No way.” I’m just the opposite. I look at complex knitting patterns written out with a sea of abbreviations and commas and I’ve forgotten where I am before I’ve even started. As I mentioned above, Glenna’s Cowl includes both written and charted instructions making it very accessible whatever your disposition regarding charts. It also makes this pattern a great opportunity to learn to read charts with a safety net. Because both sets of instructions are identical, you can use them together to check your work as you go or maybe switch back and forth if you need a break. If you’re interested in giving charts a try, the best place to start is with the basics. 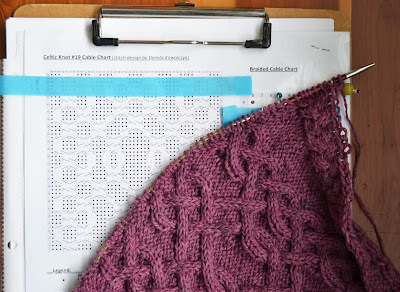 The most important thing to keep in mind is because the chart is a visual representation of your knitting, the chart will always be read exactly as you knit as if you are looking at one side. Don’t overthink it! Here are a few basic rules for chart reading to give you a jump start. Start reading a knitting chart at the bottom right hand corner. Charts are read from bottom to top. When knitting flat, read right side rows from right to left & wrong side rows from left to right. When knitting in the round, you will read the chart from right to left for all rounds. The row numbers are located on the side of the chart from which you should begin the row. If you’re knitting flat, there will be RS & a WS rows of the pattern, so the symbols may represent different things depending on which side of the work you are on (i.e. a blank square may mean a K stitch on the RS, but a P stitch on the WS) – check your legend for details. Keep in mind is charts & their symbols are just a part of the knitting language. We recognize a red octagon as a stop sign whether the word is printed on it or not. Given time, we get used to reading and using charted knitting symbols, too. Oftentimes I will focus the first 5-10 rows or rounds on familiarizing myself with the symbols. Then I’ll slowly widen my scope to see how the individual symbols work together to create the whole pattern. Before I know it, I’m referencing the legend less & less and the knitting gets easier & easier. For some projects I’m able to memorize the symbols before long, but with others I refer to the legend throughout. Either is absolutely acceptable depending on the knitter, pattern, and circumstances. I know a lot of knitters who will go so far as to color code the cables and twists within a chart to further simplify identification. I highly recommend the use of highlighter tape to keep your place on the chart. These little extra tips can streamline the chart reading process and help demystify the charted symbols. When it comes to charted vs uncharted instructions, we certainly are each allowed our own personal preference. Designers, Like Mary Bird, who include both I go back to again and again. Whether you only have eyes for written instructions, you’re a charted knitting fan, or maybe you’re just curious about knitting with charts, Glenna’s Cowl is an excellent opportunity for you to create a stunning cowl with one of my favorite yarns from Bijou Basin Ranch. Did you find this post helpful? Pin it for future reference! Yak Knitting Pins Are Here!